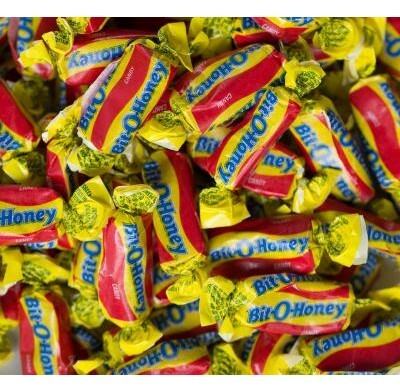 Bit-O-Honey provides the perfect combination of sweet honey flavor and chewy taffy. 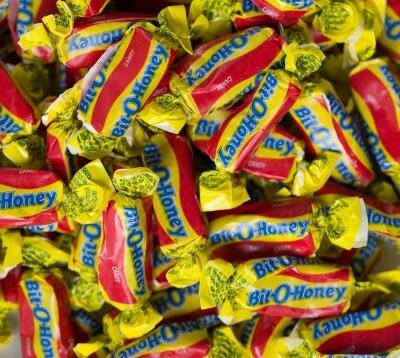 These individually wrapped, bite-sized candies are the perfect little snack any time of day. Perfect for Halloween, parties and promotions. Approximately 64 pieces per pound. Bulk candy comes 7 pounds per bag. Kosher Dairy.